Brad Orelowitz has almost 30 years of experience in finance and consulting, including more than 18 years with The Michel-Shaked Group. Prior to joining MSG, Mr. Orelowitz was the Chief Financial Officer of a retail chain of jewelry stores, and an Audit Manager for a public accounting firm. His practice at MSG focuses on bankruptcy, valuation, accounting, securities, capital markets, employment, and pensions and retirement plan issues. 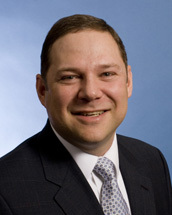 He is the former Managing Director of PensionLitigationData.com, and has written on pension and ERISA issues. He is a Member of the American Institute of Certified Public Accountants (AICPA) and the American Bankruptcy Institute (ABI), and has contributed articles on valuation and bankruptcy to the ABI Journal. Mr. Orelowitz has managed numerous engagements including some of the largest bankruptcy, securities fraud, and pension litigation cases in U.S. history. His clients have included various law firms, corporate entities and government agencies.